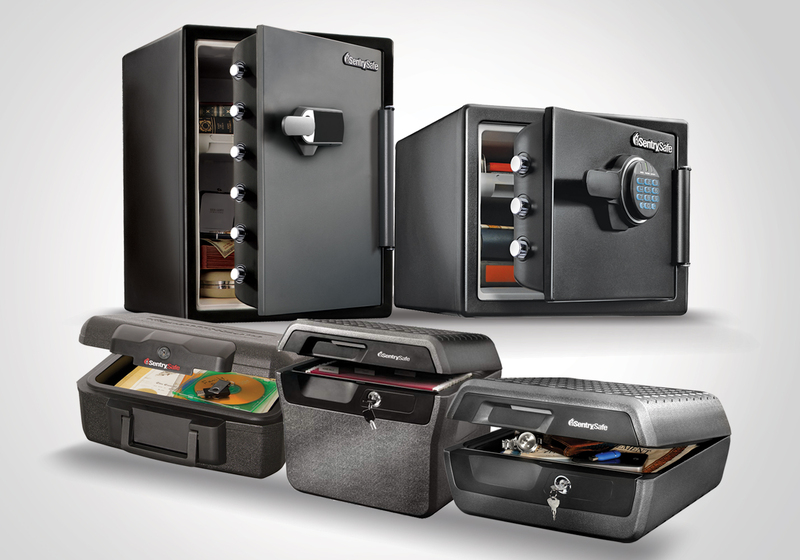 Mayo Hardware has secured the exclusive distribution of Sentry Safe’s into Australia and New Zealand. 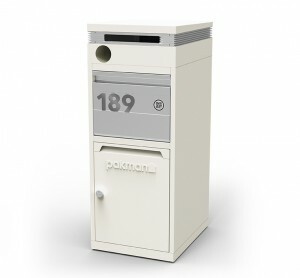 For over 80 years, Sentry Safe has been protecting consumer’s valuables from fire, flood and theft with their reliable and innovative range of chests, files and safes. 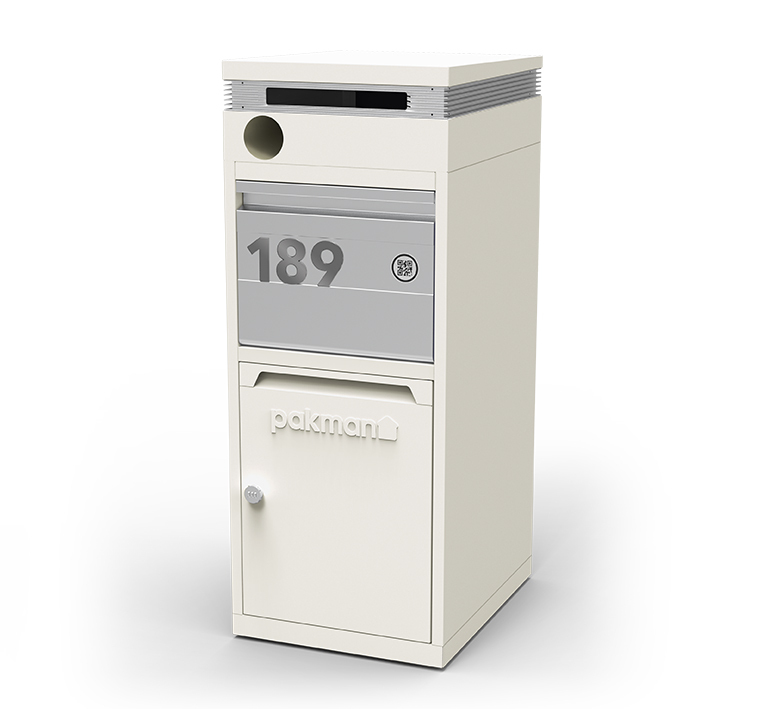 All Sentry Safe products are independently tested to ensure they can withstand the harshest environments. Mayo Hardware is one of Australia & New Zealand’s leading suppliers of safety, security and lifestyle products to the hardware, home improvement, leisure, automotive and industrial channels. With a national distribution network, an experienced field sales and customer service team, Mayo Hardware is well positioned to support the continued growth of the Sentry Safe portfolio in Australia and New Zealand. 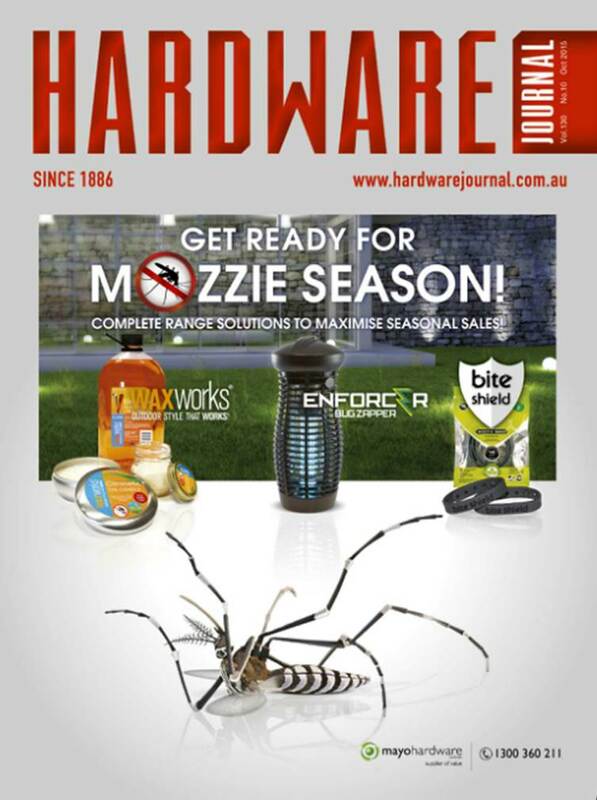 Retailers are getting ready for Mozzie Season with Waxworks citronella products that include a new range of candles, coils, torches, oils, incense sticks & burners. Consumers can also create a “mozzie free” zone with the Enforcer range of bug zappers that are weatherproof, made tough and can be placed by the table or hung on the wall. Add to this Bite Shield Mozzie Bands which are a natural insect repellent. 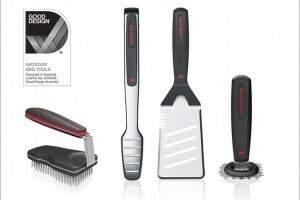 …ideal for seasonal impulse purchases when placed on clip strips or displayed with a compact counter unit. Mayo Hardware is now the exclusive distributor of DeWALT Gloves, Safety Glasses and Hearing Protection for the Australian market. 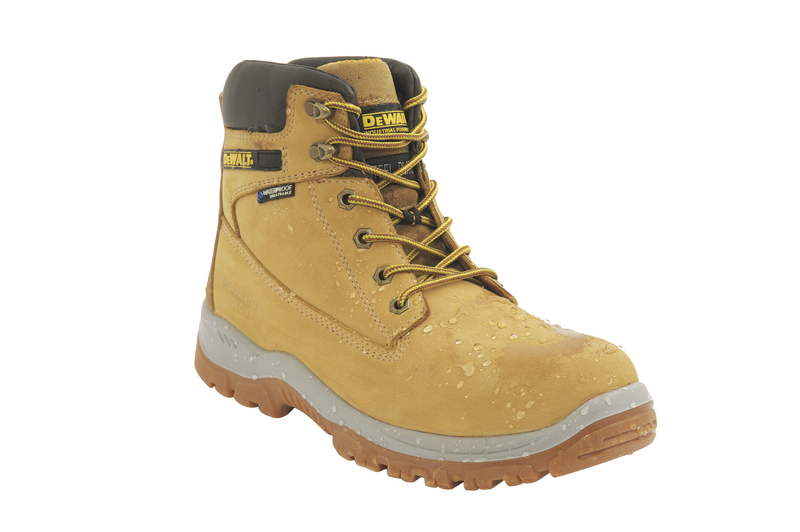 This is a great addition to our existing DeWALT Safety Boot distributorship and will provide customers access to a broad DeWALT Workwear offer. 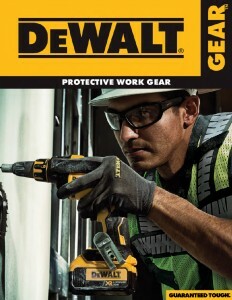 DEWALT Gloves, Safety Glasses and Hearing Protection products offer high performance protection. They are designed to withstand the harshest conditions and provide a durable product that is Guaranteed ToughTM. With a national distribution network and an experienced field sales team, Mayo Hardware is looking forward to growing the DEWALT workwear brand in the Australian market. 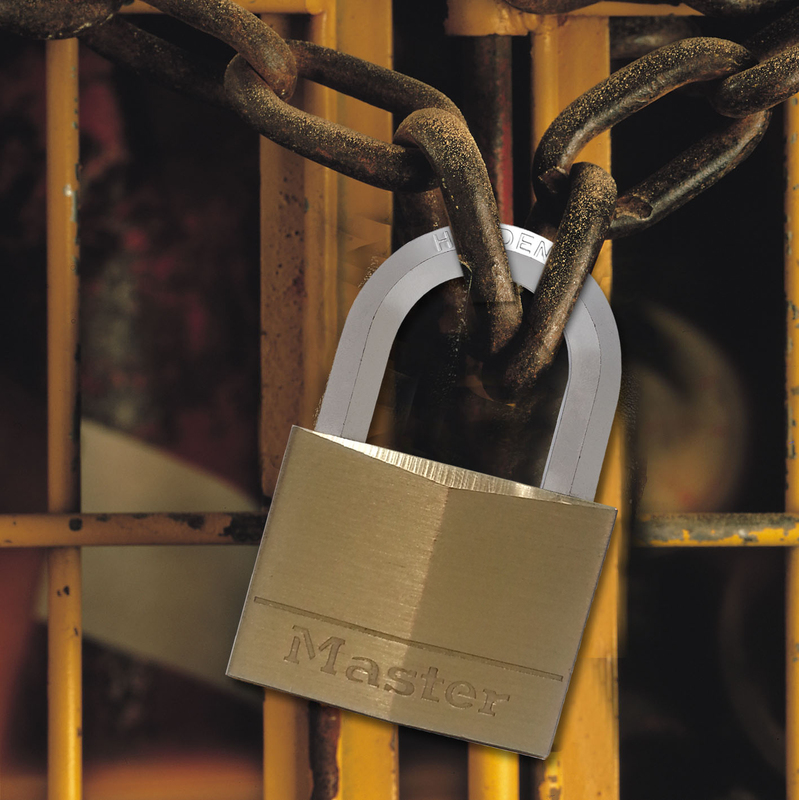 With unique Hardened Steel Hexagonal shackles, Master Lock’s Diamond Hex padlocks offer a high level of security and cut resistance. The shackle shape makes it harder to grip with bolt cutters and the shackle cannot be rotated when locked. This means even if the shackle is cut, thieves still can’t remove the lock! Each Diamond Hex padlock features a solid brass body and cylinder for durability and corrosion resistance, dual locking levers for superior protection from prying and hammering and a pin cylinder for superior pick resistance. All Master Lock Diamond Hex padlocks are backed by a lifetime warranty.